It takes on many names. Chatbot, interactive agent, virtual assistant, and conversational interface are just a few of them. While the names may differ, the sole purpose of these bots remains the same – to answer questions quickly and efficiently. But chatbots are special. Not only are they able to answer questions, but they can do so without the help of a human representative. 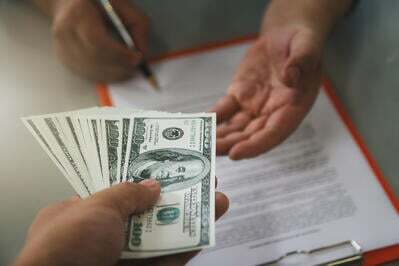 This frees up valuable time and saves businesses money. In recent years, businesses have found purposes for chatbots beyond customer service support. You’ll now see chatbots playing key roles in marketing and sales. There’s a lot to unpack regarding chatbots. In this guide, we’ll cover the basics of chatbots, how they work, why more businesses are using them, some chatbot best practices, and look at a few real-world examples of chatbots in action. Why are businesses using chatbots? Let’s start out with an entry-level definition of chatbots describing their purpose and differentiating the technology that powers them. A chatbot is either powered by pre-programmed responses or artificial intelligence to answer a user's questions without the need of a human operator. Chatbots are still relatively new, but they’re becoming extremely popular amongst businesses looking to automate customer service, marketing, or sales. People are ready to engage with chatbots, and some actually prefer this type of communication over human representatives. To prepare for a future ripe with chatbots, we need to understand the different types and how each of them work. We know chatbots are meant to solve questions and support multiple teams, but what exactly powers them? Well, there’s actually a few ways a chatbot can be built. The first and perhaps most simple bot are rule-based chatbots. These bots are the most common, and many of us have likely interacted with one either through live chat features, on e-commerce sites, or on social media. Rule-based chatbots are able to hold basic conversations using something called “if/then” logic. A human operator – typically a digital marketer – will map out the bot’s conversation using logical next steps and clear call-to-action buttons. 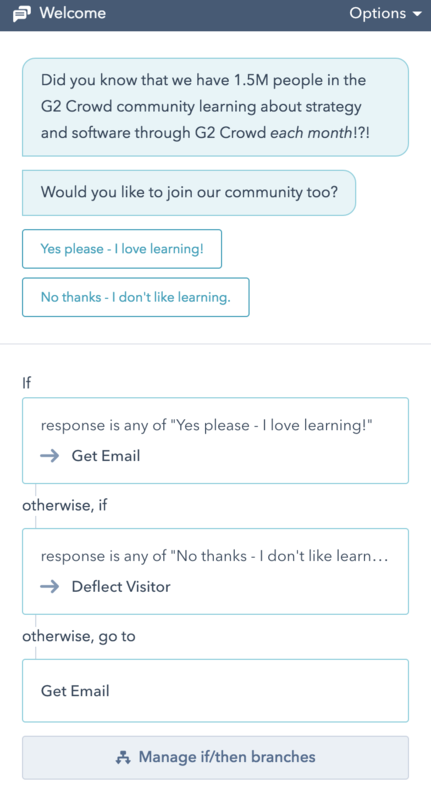 To put in perspective how rule-based chatbots work, we provided an example of one we currently use on our learning hub. As you can see, the chat always starts with a welcome message. The visitor will have to opt-in to continue the chatbot conversation. If the visitor sees our content as valuable, the bot asks if they’d like to subscribe to our weekly newsletter. It’ll also ask about their name, company, and role. On the other hand, if they don’t seek to continue a conversation, the chatbot will see if there’s anything else it can help with. Rule-based chatbots are simple and effective. The more if/then branches are mapped out, the better experience the visitor will have and the fewer errors they’ll run into. Most social media chatbots are rule-based, although, they live on social media networks like Facebook and Twitter. There are more than 300,000 Facebook chatbots live today, making it the more common platform for chatbot use. Businesses like Sephora, Pizza Hut, and Whole Foods are among the many using Facebook Messenger to automate customer service, marketing, and online sales. Similar to chatbots you’ll find on websites, Facebook chatbots communicate with visitors using call-to-action buttons. 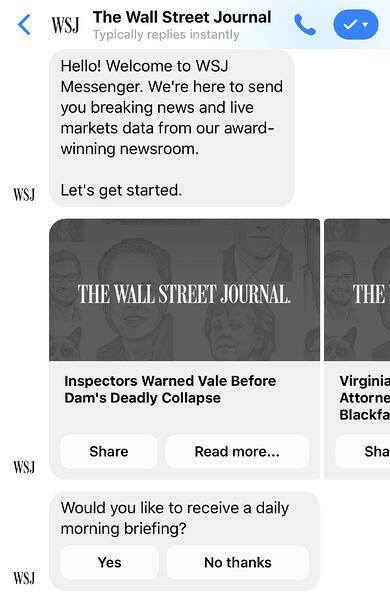 Below is an example of Wall Street Journal's chatbot you can test right now by going to its page. Twitter has fewer chatbots but is still a useful platform for communicating with followers. 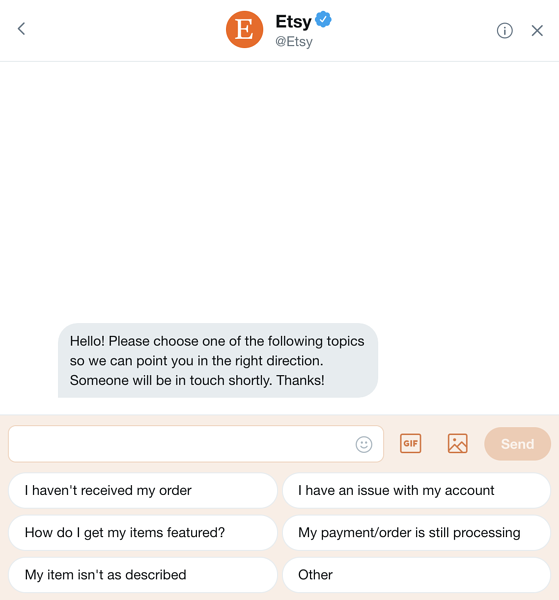 Etsy is one business using Twitter to automate customer service. As you can see, it also uses call-to-action buttons to resolve the visitor’s problems. Bots powered by artificial intelligence software (AI) are more complex than rule-based chatbots. These bots are dynamic and don’t rely on call-to-action buttons to map out conversations with their visitors. There are actually two types of AI bots. 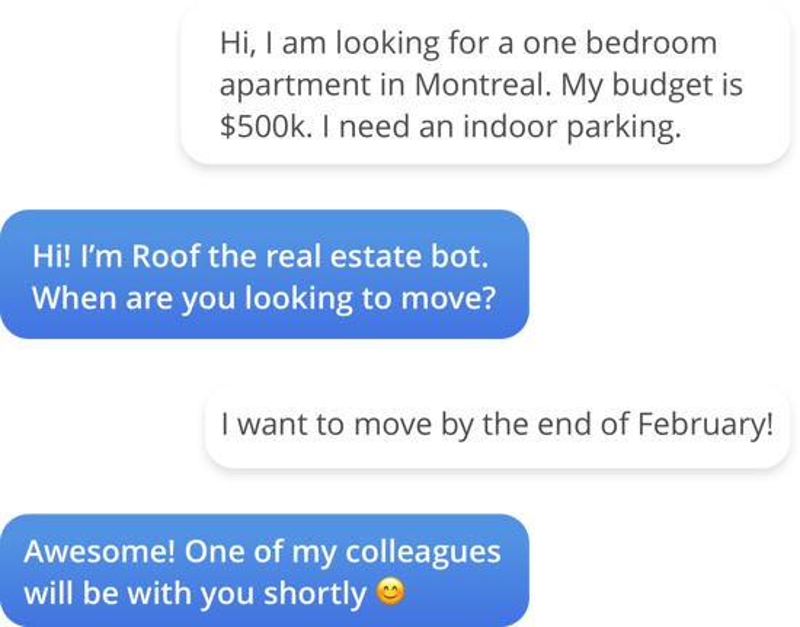 The first type of AI bot relies on natural language processing (NLP) to understand the visitor’s context and intent – something machines generally struggle with. As far as machines are concerned, humans don’t speak in logical ways. We use idioms, slang, sometimes misspell words, and express ourselves differently. Machines, on the other hand, require structure, detail, and process. What’s the advantage of NLP? Instead of the visitor having to navigate through buttons and menus, they can simply hold a conversation with the bot similar to text messaging. This creates a more personalized, human-like experience. Machine learning chatbots are similar to NLP bots, however, they’re optimized for learning about the visitor, retaining information on them, and predicting a conversation’s next steps. These bots utilize artificial neural networks, which acts as an artificial brain to feed large sets of data. In regards to chatbots, these datasets are typically previous conversations and questions that can help the bot learn. A joint study by Drift, Salesforce, and SurveyMonkey found 69 percent of consumers actually prefer using chatbots for quick communication with brands. On Facebook alone, more than 8 billion messages have already been exchanged between humans and bots. People are in front of their computer and phone screens now more than ever, so it only makes sense to provide them with a service they can access with their fingertips. 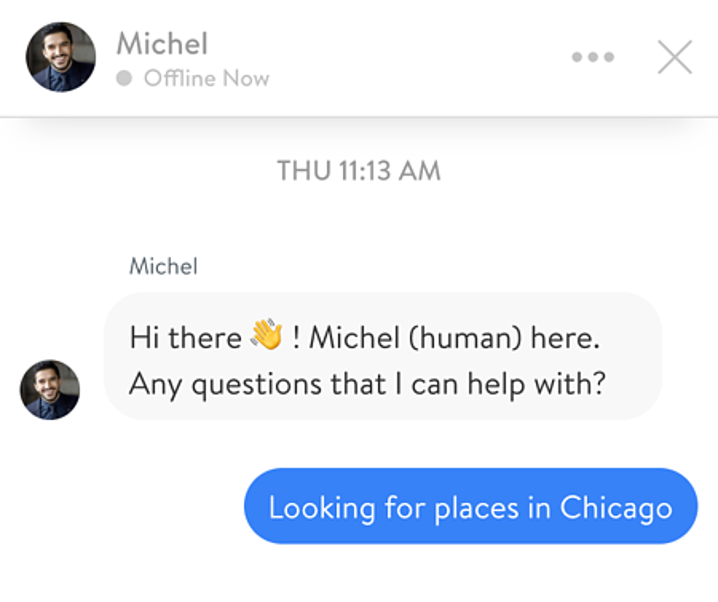 Another benefit chatbots provide is instant service anytime, anywhere. Remember, bots are not constrained to traditional work hours or time zones. So, if a customer approaches the bot with a basic issue at 3 a.m., it can be resolved within minutes. Research shows us that chatbots are on pace to save businesses around $8 billion in productivity by 2022. That alone is enough reason to consider chatbots. This benefit applies more to chatbots used for marketing or sales purposes. Chatbots can be used to sign visitors up for marketing newsletters, webinars, schedule appointments, and even guide customers to a landing page or e-commerce site to finalize transactions. But for a visitor to tap the benefits of a chatbot, they’ll need to provide some basic information like name and email address, and sometimes phone number and location. This information is then automatically stored in an internal database, and the customer can be retargeted at any time. Just think, this is all being done without the effort of a human representative. 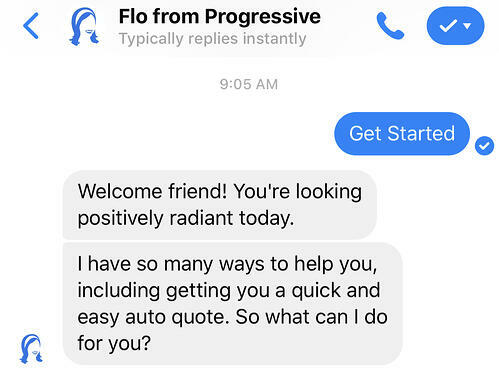 Build your business’ chatbot the way you want, but also consider some of these best practices to get the most out of your chatbot. Chatbots are not perfect by any means, and like their human counterparts, they’re prone to making mistakes. This is why it’s crucial for chatbots to have proper error handling and human support when all else fails. Error handling refers to a software’s ability to anticipate, detect, and resolve issues. Unfortunately, because chatbots (particularly AI chatbots) communicate with customers, there’s a wide margin for error. 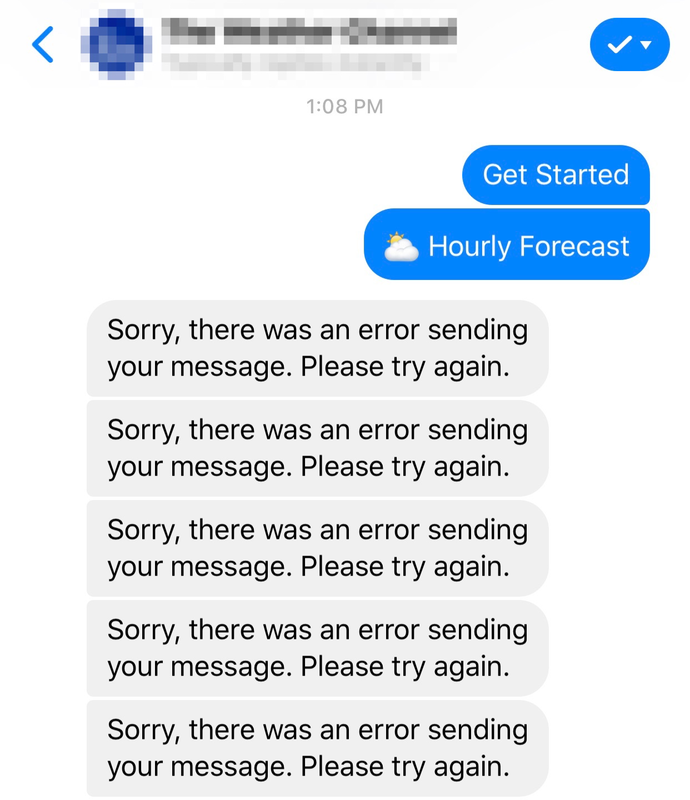 Here’s an example of poor error handling I recently experienced with a Facebook Messenger chatbot. I only showed a brief portion of the discussion. There were about 10 more error messages beneath this. Poor error handling will leave the visitor confused and frustrated. Even more concerning, 73 percent of U.S. consumers said they’d abandon a chatbot after one bad experience. Having human support on-hand is a great fail safe for your chatbot. Visitors should be aware that a chatbot is on the other end of the conversation, so, this is something to upfront about before they choose to opt-in. With so much concern regarding data protection, another best practice is to make visitors aware of what information is being gathered on them and that this data is being stored securely. Unless a visitor is getting news roundups from your chatbot, there’s really no reason why messages should be longer than two-three sentences each. Remember, the reason why a visitor opts-in to use a chatbot is to get information quickly and efficiently, not hold full-scale conversations. 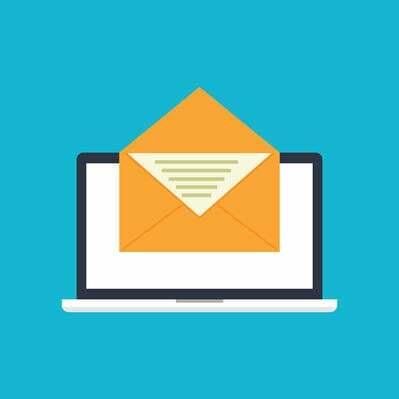 Keep messages short and concise, and if more information is required, move the conversation over to email or have a human representative step in. This tip is subjective, but could be particularly beneficial for brands with mascots or certain personas. 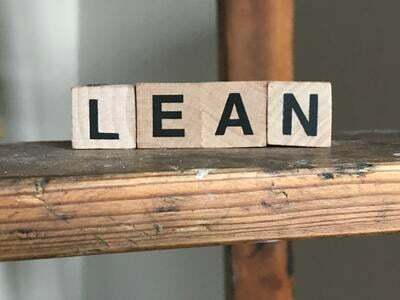 Rule-based chatbots are great at resolving simple queries, but the future of chatbots lie in the advancement of AI, natural language, and machine learning. This is not to say rule-based chatbots will be left in the dark. Their low-code development and ease-of-use makes them great options for many businesses. However, smart bots are simply capable of gathering more information on visitors and completing a broader range of tasks. Then there’s the great chatbot debate. Will the future of chatbots be text-based through smart bots, or will users turn to voice assistants? If you own an Amazon Echo, a Google Assistant, a Microsoft Cortana, or used the Siri function on your iOS device, you’ve interacted with a voice assistant. These bots receive information audibly, analyze the data, map out a response, and output an answer for its user. Of course, voice assistants are not perfected, and just like smart bots, there are obstacles to overcome before they become fully mainstream. For now, it’s safe to say both types of bots are useful at automating simple tasks for users and businesses. Now that you know the basics of chatbots, how they work, and why more businesses are leveraging them, it’s time to consider building your next bot using one of these types of software. 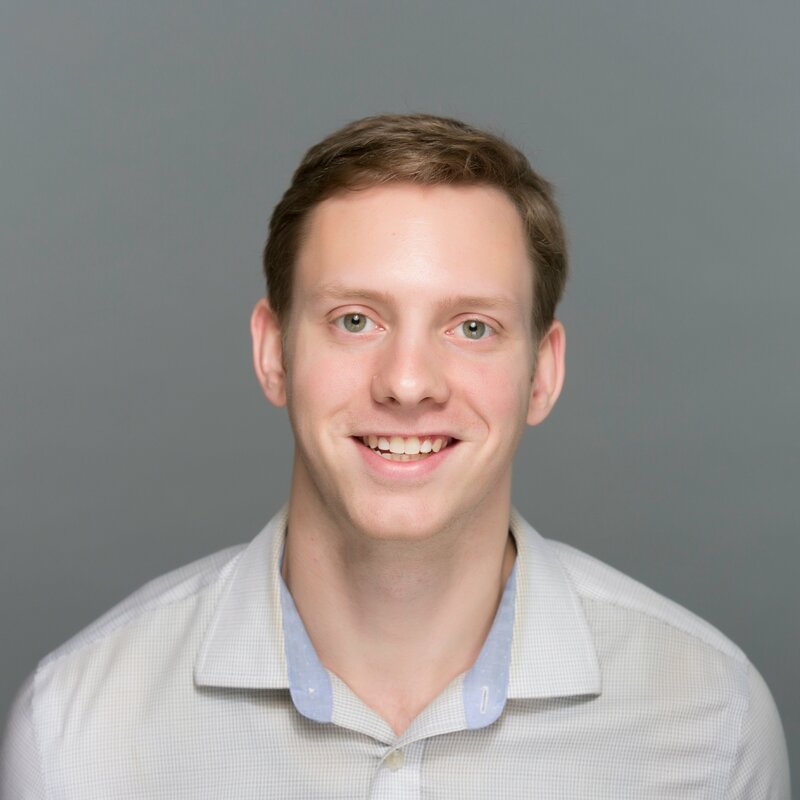 Bot platforms software is a full-scale system to deploy chatbots, and they’re typically built on top of analytics platforms so its easier to see the performance of the chatbot. For example, you can see the entrance and exit rates for the chatbot, how long conversations are running, error messages, and much more. Chatbots software consists of more entry-level systems to deploy live agents and help desk chatbots. These systems can be used to automate everything from customer service to marketing and sales. However you plan on using your chatbot, just remember to define its goal of how it helps the visitor and the business. 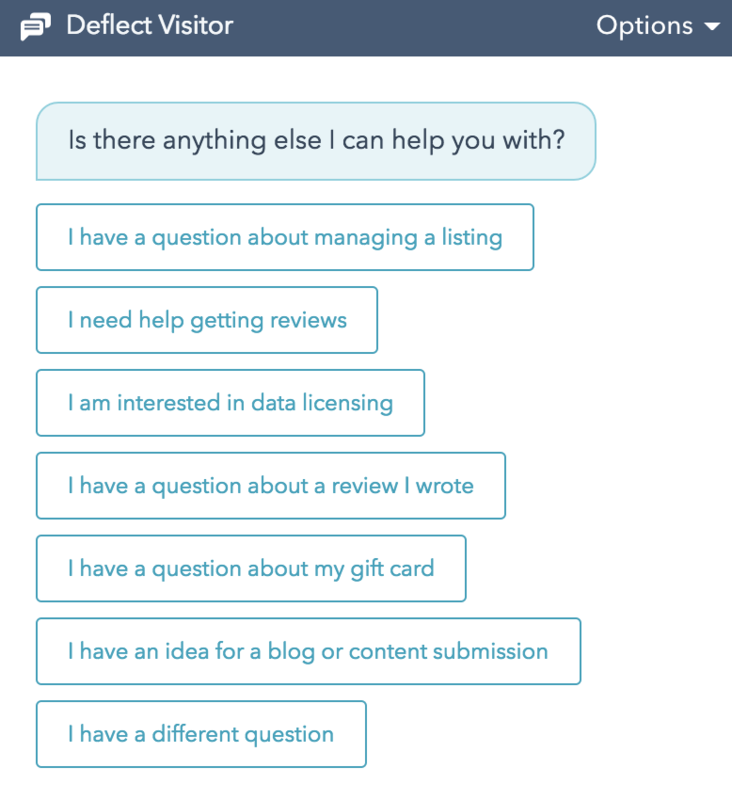 Also, be sure to consider the best practices we listed above to get the most out of your chatbot.